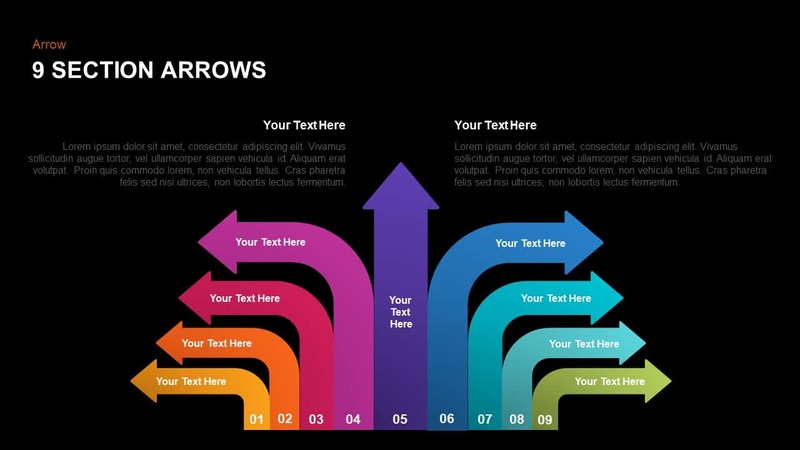 9 section arrows PowerPoint template is a visual architecture created to display nine element of a single concept. This arrow diagram is a network diagramming technique in which activities are represented by arrow; it shows the required order of task in project or process, and potential scheduling and resource problems and their solutions. 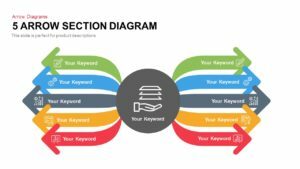 Nine section arrow diagram ppt template is a combination of nine directed arrows. The users can display their concepts in the surface of the arrow and broadcast their conclusions in the upper sides of the diagram. In other hand, the users can use this diagram to deliver specifications of a product with analyzed comparisons. 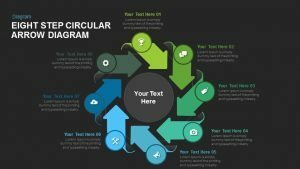 The users can display the pros and cons of a product in each side and their conclusions in the text areas. 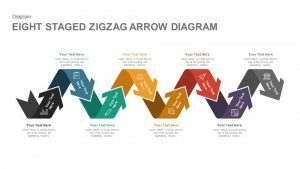 The multi-purpose arrow diagram is perfect for poster presentation for students and teachers. 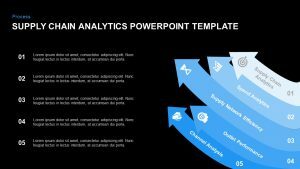 Business agenda presentations is the another use of this incredible PowerPoint template. 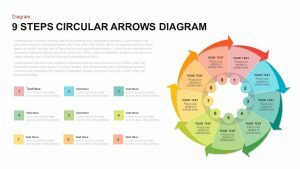 Nine section arrows PowerPoint template presentation is a unique arrows diagram which does not shows the relationship of the concepts. Each arrow shows an individual concept that detached from the nearest arrows. 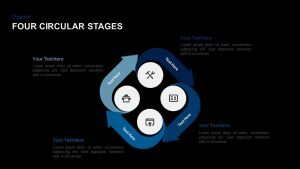 However, the presenters can show linked concepts in an arranged manner. The vertical arrow in the center may use to show the key element of the presentation. And its sub-topics can arranged with the adjacent curved arrows. 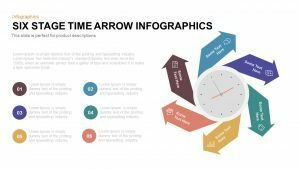 The breadth of the arrows represents the duration of project activities, so the template is perfect to show the steps of project management and project scheduling. 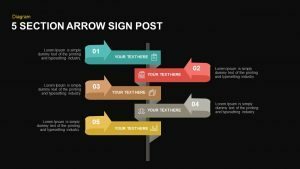 Arrow diagram PowerPoint template is an attractive design that will help to catch the attention of the audience. 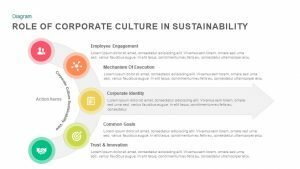 Particularly positioned arrows are useful to show the desired direction of project implementation. 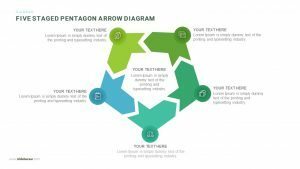 It can be used as a combination slide, that is, the upcoming contents of your presentation can be enlisted by the nine section arrow PowerPoint template. 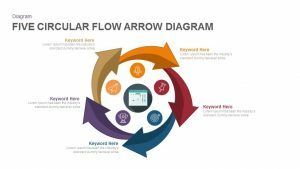 We have different type of arrow diagrams that you can search through our category. 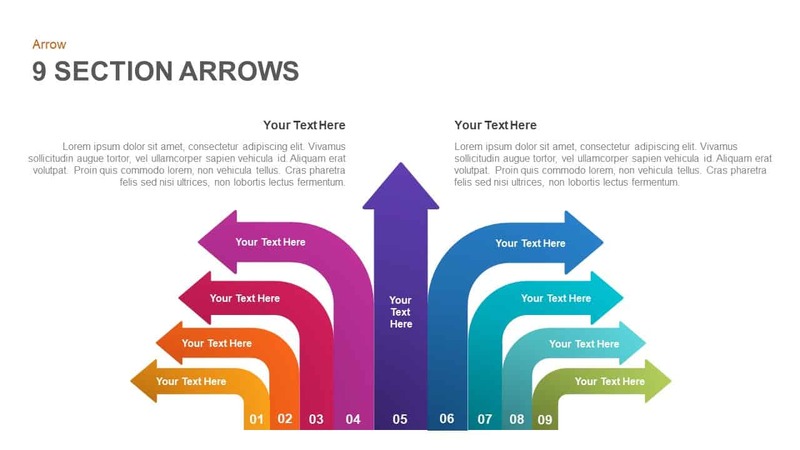 You can access more Arrows PowerPoint Templates here Grab the free ppt now!